The Rev. 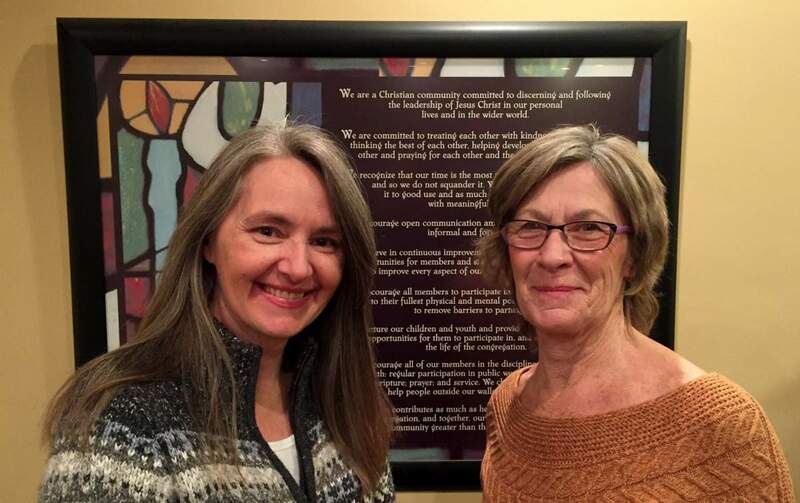 Lee-Ann Ahlstrom and Marnie Phoenix at Northlea United Church – helping to discern what the church will look like in the future. The post-war period of the late 1940s and ’50s was a time of great optimism and rapid expansion in many areas of Canadian life. Churches were no exception. North Leaside, which had been developed more recently than the older neighbourhood south of Eglinton Ave., was poised and ready to participate in the boom. As we said in our November issue, St. Cuthbert’s Anglican Church began a “mission” in Northlea School in 1949 that soon became the separate parish of St. Augustine. The United Church of Canada followed a parallel course at almost exactly the same time. According to Jane Pitfield’s book, “Leaside,” a preliminary meeting was held in a private home in December 1948 and services began at Northlea School in September 1949. The numbers are almost unbelievable today: within a year the Sunday school included 350 children and young people, and the church’s membership roll numbered 517 members. The new congregation purchased the home at 647 Broadway as a manse in 1950 and began fundraising to build the church in 1951. Construction of the sanctuary began in 1953 and completed in 1954. A Christian education wing was added in 1959. Ahlstrom and Phoenix agree that ‘giving back’ is an important theme at Northlea. “People here feel that life has been very generous to them – they want to give back to their community, and Northlea is a vehicle for them to do that,” says Ahlstrom. The two outline an impressive list of outreach programs the congregation has supported just in recent weeks. They have sponsored and settled a refugee family and are now assisting other recent arrivals through Thorncliffe Neighbourhood Office. They’ve collected clothing for the Christian Resource Centre, donated new pyjamas to four different agencies, winter hats and mittens to the Massey Centre, and food to TNO’s foodbank. And the congregation’s youth are joining with kids from Pawsitively Pets’ after-school program to form a youth choir that will perform in area seniors’ homes in the new year. And beginning in 1971, Northlea served as home for the community-based continuing therapy programs of the Donwood Institute. “We needed more room, so we leased space from Northlea,” says Linda Bell, who was administrator at Donwood at the time. “We used the top floor of the Sunday school wing; by that time the community was very supportive, and many were members at Northlea as well.” These programs continued long after the Bells left Donwood in the mid-’80s, and were run by Dr. George Birtch, who was not only a childhood friend of Dr. Gordon Bell, but was also a United Church minister. The Rev. 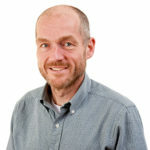 Bob Thompson, minister at Northlea in the ’80s and ’90s, recalls that “Birtch was able to talk about spirituality in such a way that was non-threatening to the recovering addicts – these were people who had seen a lot of pain, often having been ostracized by the community, including the church, for their drinking.” He adds that many of the volunteers trained by Birtch were Northlea members and became the church’s pastoral care team in the 1990s and beyond. 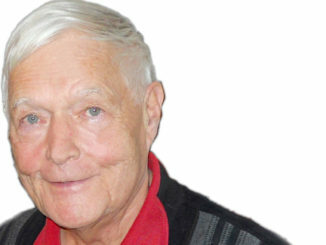 Allan Williams is a regular contributor to Leaside Life.